Media Lab researchers have partnered with public libraries for years, Bailey says, but when the Media Lab Learning Initiative received funding from the Knight Foundation to formalize and expand those relationships through PLIX, they approached the MIT Libraries. They needed a team member with a thorough understanding of how libraries operate and the ability to understand and communicate technical projects to a broad audience. As engagement and data engineer, Bailey typically works on software development for the Libraries. In July 2017 she joined Learning Initiative Director J. Philipp Schmidt and Coordinator Katherine McConachie three days a week to help see PLIX through its first year. Bailey created an online portal to make available learning tools developed at the Media Lab and helped launch an online community to support the public libraries that use them. But the bulk of her work as PLIX coordinator was spent facilitating intensive residency exchanges that brought public library staff to the Media Lab and sent Media Lab researchers to public libraries all over the country to create new tools that could be used in those communities. 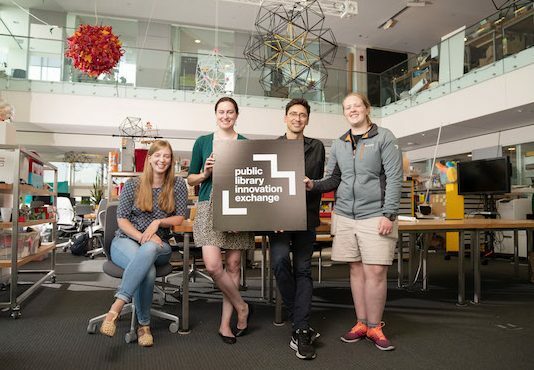 Now that the first year of PLIX has wrapped up, Bailey has returned to the MIT Libraries full time, with a clearer understanding of what the MIT Libraries can offer their colleagues at the Media Lab and in public libraries. 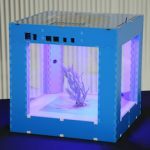 These self-contained growing units have UV lights, a hydroponic growing system, and are attached to a computer that allows users to program conditions like light, temperature, humidity, and nutrients. Both libraries have a strong interest in growing food: the Free Library of Philadelphia has a culinary literacy program, and the Akron-Summit County Public Library works with the agricultural community. Scratch, with its cartoon mascot, Scratch Cat, helps children learn how to code by using picture blocks and puzzles. The Scratch team built an extension to attach to a micro:bit with built-in gesture sensing and output capabilities to a physical object. 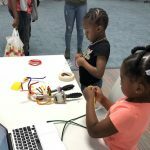 Kids and teens in library workshops can take toys, attach them to a micro:bit, and then use the object to interact with what’s on the screen. 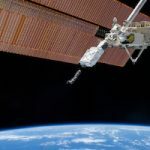 High school students are building 10x10x10cm satellitescalled CubeSats, which will orbit the Earth to collect climate data. The Space Initiative is designing a CubeStat curriculumfor use in libraries, so staff can teach the science that goes into each step of building. The team is also partnering with the Harvard-Smithsonian Center for Astrophysics at the John G. Wolbach Library to build a network of ground stations in public libraries that can retrieve the data from the CubeSats and an open data archive for all the data collected.